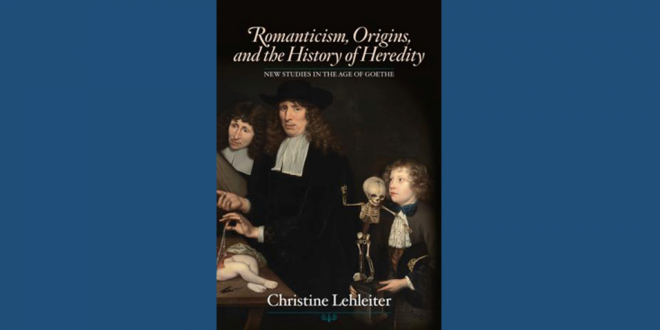 Congratulations to Professor Christine Lehleiter: Her monograph study Romanticism, Origins and the History of Heredity was published in the prestigious New Studies in the Age of Goethe series. Examining novels by Goethe, Jean Paul, and E.T.A. Hoffmann, studies on plant hybridization, treatises on animal breeding, and anatomical collections, Romanticism, Origins, and the History of Heredity delineates how romantic authors imagined the ramifications of emerging notions of heredity for the conceptualization of selfhood.